Some people want to put on something classy and pricey that will beautify the house. Well, if you see it from the economic perspectives, it may be a careless way to spend the money. But, if you see it from the business perspectives, it is a wise thing to do. Why? In a long term, it can be the smart way to invest your house. No kidding. No matter how simple your house is, if you have well-maintained furniture, it will jack up the house value. What kind of renovations you need to do? Well, to jack up the house value, there are things you need to do. It is not always a total renovation of the house. Just do a little paint and repair and your house will be new and attractive. Renewing your kitchen. You don’t have to trade the old cabinet with the new one. Just paint the ceiling of the kitchen and your kitchen will be new. If you need to change something in your kitchen, it may be your faucet, wall paints, or door knob. Removing the clutter and doing the cleaning. Well, removing the peeled wall paper or broken furniture may be a better way to create wide look on your house. Remember, less is more. And the basic cleaning like sweeping, eliminate the spider webs, and polishing the hardwood may be a simple way to improve the price of the house. The odor of the house. Remember that you cannot sell the stinky house. No matter how fancy your house is, the price will slide drastically if the smell of your house is like wet socks. Yucks! If you need to sell it, you can light aromatherapy candles the day before. Gardening. A simple yet green garden can be a plus point for a house. Do the DIY projects for your garden a week before you sell it to jack up the house value. Change the lamps and lights switches with the modern ones. Change the curtains, especially if you have the torn curtain. You are about to sell an enchanted house, not a haunted house, right? Home staging is a thing that you can do if you already have a better place to live or you just want to move somewhere else. At this point of time, home staging is not that easy to do, even if there are quite a lot of helps that you can get and also quite a lot of media that you can use to tell people about the home staging. The reason is because you are not the only one who does this, but many other people also even if the reasons they use are different from yours. 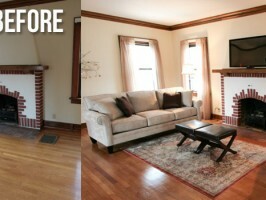 Because there are many other people who do the same action as you do, it seems that you need some home staging tips that you can use so that you can get potential buyer sooner and get your home sold. The main thing that you have to do in home staging tips is making your house as appealing as you can so that people have interest in buying it more than any other houses available to purchase. One thing that is quite simple yet significant that you can do is redecorating the lighting in your house. You have to be sure that the lighting is warm enough. This kind of lighting will make your house more welcoming. Other than lighting, you may think about room painting also. Room painting is important because if you choose the color properly, you will be able to make the rooms in your house look bigger. More space in every room is also the one that will be loved more by your potential buyers. More space can also be created by rearranging the furniture in your house so that all rooms will never look narrow. Other thing that will be included in home staging tips is decorations. In home staging, decorations play a quite important role. The role is not only to make your house more appealing. Instead, they can also be used to increase the value and of course price of the house itself. That is why it is so much better for you to place some decorations in the house before it is placed in real estate marketplace to be sold. 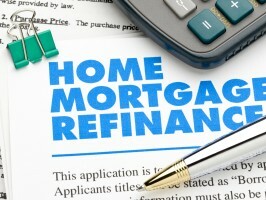 Mortgage refinancing might be a thing that you are interested in. There is no other possible reason why you really want to do so but because there are some benefits offered by this kind of action to you as the one who are responsible to repay the installment of the mortgage regularly. When you know about this fact you may not just directly go to a lender to refinance the mortgage because the fact is that it is something that you have to do carefully to avoid some risk that you can possibly experience later. The first example of risks that you could possibly obtain if mortgage refinancing is done without a deep thinking is no changes. 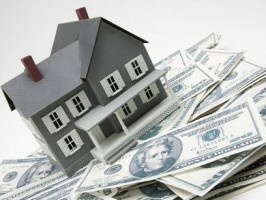 It means that there is no financial benefit at all that you receive after you apply for the mortgage refinance. This kind of thing is so possible to happen if you do not check the lender that you want to choose first. There is a big possibility for that lender to have exactly the same payment amount with the one given by your current lender before the mortgage is refinanced. If this kind of thing happens, it means that the refinancing is quite useless. Other than the no effect risk, another risk that you could also get is missing a better lender for a quite bad one. If you are lazy to check out more and more lenders first before doing the refinancing, you might just get the bad one because you choose it randomly and missing the other one that actually have better quality in many points that will certainly be something beneficial for you. The last thing that might be quite risky when you refinance your mortgage is the unavailability of fixed-rate. This one is bad because there is a big chance for you to pay different rates during the agreed installment time. To avoid all things mentioned previously, it seems to be good for you to do there following things. The first one can be done to avoid the no-effect risk and also the worse lender. Here, the prevention action that you can do is shopping around from one lender to another and do not forget to ask about every detail information, including the payment and interest that you should repay later. Other than this, you should also make you that you get the fixed-rate confirmation. With this confirmation, you can get some peace of mind because the amount of money that you should pay to the lender regularly will always be the same until the time you finish the mortgage loan you take. Doing all things suggested to you here is the one that will make you to be able to taste the real benefits of mortgage refinancing. Steps to Performing the AnalysisThere are eight crucial steps that must be performed to have full analysis to reveal the cause of structural damage after a catastrophic incident. Step 1: Collect background information, including service history, of the failed component. Step 2: Visually examine all failed components and related parts in the failed state. Low magnification examinations are also performed during this step to locate areas that need further analysis or testing. Step 3: Analyze all degraded or fractured surfaces at high magnification with a Scanning Electron Microscope (SEM). Step 4: Use the SEM to determine the origin of the failure by investigating the initiation site. The purpose is to look for contributing factors or any unusual conditions. The failure mechanism is identified and characterized as an overload, fatigue, etc. the engineer will also investigate to see if any unusual stress risers exist. Step 5: The cross-section microstructure is selected, prepared, examined and analyzed in the area where the failure initiated. Conditions of manufacturing processes reflected in the microstructure are also analyzed and investigated for potentially flawed conditions. Material quality and heat treat conditions are also investigated. Step 6: The failed component, coatings or platings undergo a chemical component analysis. Step 7: Tests for hardness, strength, and mechanical are performed. Step 8: All tests results and gathered evidence are analyzed to formulate an opinion and conclusion for why the structure failed. The careful analysis through extensive forensic examination helps to provide a conclusive explanation of the root cause for the failure.